With curiosity unscathed, boundless and flawless, a void of space opened its' arms to me. with a tilt of my head, it whispers. these voices of sirens so gentle and warm, cascading over me. i open my mouth, letting the whispers in. down the rabbit hole I go, a steady rhythm keeping my pace at bay. deeper in to the void, a wonderland springs to mind., a vision I cannot avoid. my blindness begins to evaporate. Darkness to grey's, absence to existence. An infinite world I soon anticipate. from a single false step, the ground moans in pain. earth and debris begin to fall, dropping like rain. as my foundation gives way, time slips into decay. ultimately freezing in mid transition, an eternity within a day. a grasp of breath and snap back into now. a plunge into the great beyond, centuries of life ascending and gone. at centuries end, i find the earth at my feet. the path laid out, as if it were expecting me. following its guided hand, as fluid as the sea. up ahead i see warmth, i see this purity. I reach for the source, to far beyond my hand. 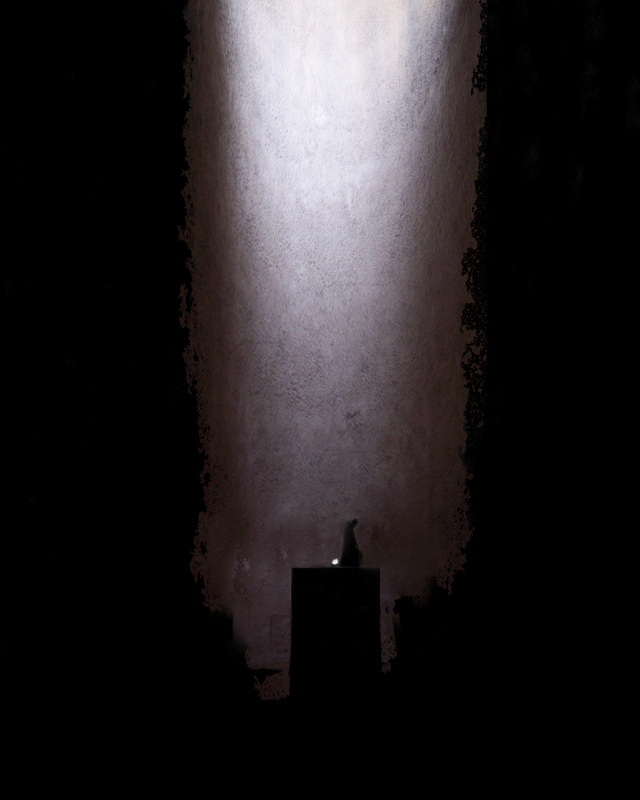 a single flame emerges from a stone base. a begger's arm in the form of land. as I stare into purity's gaze, i let time become a haze. with shadows of twilight flowing down as if silk, evolving in so many ways. carried by twilight, these whispers adrift. voiced by sirens, drawn into this haze. watching the source, and waiting for days, and day, and days.